What allergens do you avoid in your family? My eldest boy has a severe allergy to peanuts, but we also avoid wheat and cows milk as all 3 of my boys were allergic to that in the past. One of my twin sons (4) has almost outgrown cashew allergy but not quite, so we still avoid that too. Which family members have allergies and how old are they? My oldest son age six is allergic to peanut and one of my twin sons, aged four is allergic to cashew. How have allergies impacted your life? In so many ways! At first getting the diagnosis for all three boys was very scary and shocking. I didn’t have allergies myself and nor did my husband so it was a whole new world for us to navigate. 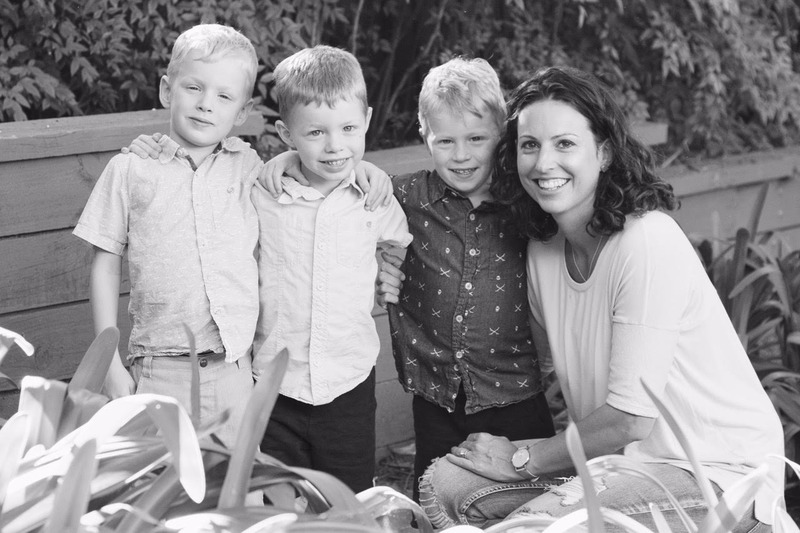 After some terrible experiences with specialist doctors, we have found an integrative GP who is helping us improve the boys allergies through strengthening their gut health. It has been and continues to be a long journey but we are making progress and I am incredibly thankful for that. I try to be philosophical about the path that allergies has sent us down - I have leant so much and my kids are now much more robust and healthy due to dietary changes. I am so grateful for that. What's your biggest day-to-day dealing allergy challenge and how do you deal with it? Everyday I think about the food my boys are eating - what is for the next meal? Is it safe? Is it nourishing? Will they eat it?! I feel like meal planning, preparing and serving consumes me! It is a huge investment in time. But worth it!!! I think having to prepare all meals pretty much from scratch - not being able to order a pizza after a busy week, constantly checking ingredients of everything I buy. Do you have any handy 'living with allergies' tips to share? Gosh I have learnt so much but feel like I am still learning every day. My tips would be - take things one day at a time, use the challenge of allergies to discover new foods, ways of cooking and eating that may ultimately be healthier for the whole family. What's your favourite Allergy Plate recipe? My boys all love the chocolate protein cookies - and I love them because they are nourishing and fill up their little tummies! Such a great recipe - thank you Karen! !